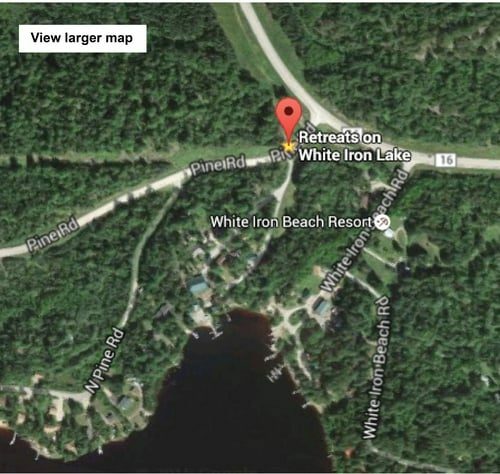 Stay at Retreats on White Iron Lake, an Ely Minnesota Resort with 11 deluxe lakeside and lakeview cabins. A family resort nestled in a calm bay of White Iron Lake. Choose from 11 deluxe, two- to four-bedroom, smoke-free lakeside or lakeview cabins under towering old-growth cedars and pines. The Retreats has everything for a memorable resort vacation in the North Woods. Only minutes from dining and shopping in downtown Ely. The Boundary Waters Canoe Area is minutes from your dock. Hiking (we're in the Superior National Forest with dozens of marked trails nearby...family friendly to rugged). Boating and water sports on seven miles of clear, connected lakes and rivers. Complimentary use of kayaks, paddle boats and canoes.